When Michael Atiyah proved the index theorem in 1963, mathematicians were stunned. Atiyah and his collaborator, Isadore Singer, had found a hidden bridge that connected two fields of math in an utterly surprising way. The work laid the framework for a flowering of both fields. Yet this fantastically abstract theory has transformed a large area of theoretical physics. In the 45 years since Atiyah and Singer first proved the theorem, Atiyah and his collaborators have used it to build a fundamental mathematical tool for string theory, which seeks to shed light on the basic nature of matter. Even more unexpectedly, the transformation in physics has fed back into mathematics, energizing many different fields and leading to profound new results. In honor of Atiyah’s many achievements, the Simons Foundation has endowed the Michael Atiyah Chair in Mathematical Sciences at the American University of Beirut. Atiyah was born in 1929 in England, to a Scottish mother and a Lebanese father. He grew up in the Sudan, where his father was a civil servant. When he was 13, he left the small town he’d grown up in to get a better education at an English boarding school in Cairo. His mathematical talent was clear early, though he liked most academic topics and for a while considered going into chemistry. The memorization required in chemistry put him off, however, and since he was good at math and enjoyed it, he settled on a life as a mathematician. He attended Trinity College at Cambridge for both undergraduate and graduate studies. Despite his obvious talent, he struggled at the beginning of graduate school and even considered leaving mathematics altogether. “I went to this course on archaeology and I found that by comparison with mathematics it was all dead easy,” he says. “It was light relief in some sense, but intellectually interesting and I enjoyed it, and I think that I could see that there were other possibilities you could pursue.” At the end of his second year, though, he won a prize for his mathematical work, boosting his confidence. He never looked back. He did a postdoctoral fellowship at the Institute of Advanced Studies at Princeton. While there, he met three people who were to have an enormous impact on his mathematical life: Singer, Friedrich Hirzebruch and Raoul Bott. He was also newly married and began his family, eventually having three sons. Atiyah’s earliest work was in algebraic geometry, but with Hirzebruch, he moved into algebraic topology. Like geometry, topology analyzes shapes, but unlike geometry, topology considers the shapes to be stretchy. That is, a geometer considers two mathematical objects to be the same only if you can pick one up and put it on top of another and the two shapes line up exactly, with no bending or stretching. Topologists, on the other hand, are perfectly happy allowing objects to be stretched or squished, as long as you don’t punch any holes or glue anything together. So for a topologist, a doughnut and a coffee cup with a handle have the same shape. The cup part can be squashed, leaving just the handle to form a loop – the same general shape as a doughnut. Topology is particularly valuable for understanding high-dimensional objects that we can’t easily visualize. Atiyah worked with Hirzebruch to develop topological K-theory, a powerful method of describing these very complicated high-dimensional objects. Singer’s background was in analysis, a field that was seemingly only distantly related to topology. Analysis is the study of differential equations — that is, equations expressed in the language of calculus. Topology’s stretching and squishing tools don’t work on differential equations. Even so, Atiyah and Singer had the idea that topology, as far afield as it seemed, might be the key to resolving the one really annoying thing about these equations. Differential equations are central to modern science, because most mathematical models of the real world use them, but they come with a very nasty catch: for most differential equations, no one knows how to find the solutions. Physicists are stuck making approximations. The general problem of solving any set of differential equations was far too hard, Atiyah and Singer knew. But for a particular kind of differential equation, they figured out how to do something that in many cases is almost as good: calculate how many solutions there are. This was their famous index theorem. The most exciting part of the theorem was that in the process of proving it, Singer and Atiyah built a bridge between analysis and topology that proved to be the basis for a tremendous amount of future research. For any set of differential equations, they figured out how to create a geometrical object related to it that topology can work on. They then used K-theory (the topological theory Atiyah had built with Hirzebruch) to characterize that object, and it produced a number. That number, they showed, revealed how many solutions the original set of differential equations had. Atiyah and Singer had just gotten started, too. Over the next 15 years, the pair produced several different proofs of the theorem from different perspectives, strengthening the bridge between analysis and topology with each one. The index theorem had turned into a field, index theory. Even in all the excitement, no one thought index theory offered much to physicists for most of that time. Though physicists care deeply about the solutions to differential equations, they use a different flavor of differential equations than the ones the index theorem applies to. Plus, the mathematics involved is extremely complicated. Most physicists couldn’t even understand it, much less find a use for it. He soon realized it wasn’t. “We discovered that physicists were doing things in their own language that were very similar to our work, but ours was more general and powerful,” Atiyah says. “The physicists were even using the most esoteric parts of the index theorem I’d been developing, parts I thought no one would be interested in.” Atiyah started an intense dialogue with Witten, a physicist, that undoubtedly changed the history of mathematics. The theory Atiyah and his collaborators had built up turned out to be essential for the foundation for string theory, which posits that matter at its most fundamental level is formed of minute “strings” within a 10- or 11-dimensional space. Physicist Cumrun Vafa of Harvard University says that Atiyah had a tremendous influence on physics both through his mathematical results and through his personal influence. “His vision that there should be links between math and physics was a driving factor in physics research,” he says. Atiyah both got physicists interested in the area and suggested lines of research that turned out to be very fruitful, including the work that led to Witten’s Fields Medal. “Without Atiyah, I don’t think I would have taken the interaction of math and physics nearly as seriously,” Witten says. Initially, physics seemed to be the primary beneficiary of the budding relationship between math and physics. But in 1983, Atiyah’s student Simon Donaldson proved a stunning and unexpected result about four-dimensional objects using techniques suggested by the interaction with physics. Donaldson’s theorem (which won him a Fields Medal in 1986) made mathematicians realize that gauge theory, a field that had grown out of index theory, had mathematical powers they hadn’t realized. A small, jolly man with a round, bald head, Atiyah is an effervescent font of ideas and helpful suggestions. Almost imperceptibly, conversations with Atiyah tend to migrate as Atiyah relates his interlocutor’s interests to his own, until Atiyah’s interests are at the center of the conversation. “He’s made the whole world interested in the things he was interested in,” Segal says. In particular, he made physicists interested in index theory, persuading them that it would help them solve the problems they were wrestling with. 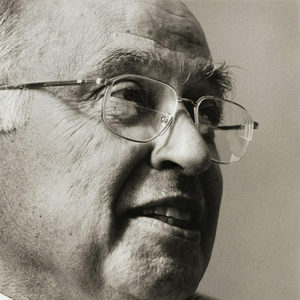 During much of the 1990s, Atiyah was master of Trinity College at Cambridge, as well as being president of the Royal Society. Concerned about the danger of armed conflict, he became president of the Pugwash Conferences on Science and World Affairs, a group that brings together scholars and other public figures to seek solutions to threats to global security, particularly nuclear annihilation. In 1997, he officially retired, and he’s now an honorary professor at the University of Edinburgh in Scotland. In 2004, he was awarded the Abel Prize, now considered the mathematical equivalent of the Nobel Prize. “Retirement” has merely provided him the opportunity to return to research. He’s continued publishing important results in a number of the fields he’s worked on throughout his career, despite the myth that mathematics is only a young man’s game. He has continued his long-standing collaboration with Witten, recently working on D-branes. He has also published papers on K-theory with Segal and Michael Hopkins of the Massachusetts Institute of Technology.